Are there meditation tips for stress relief that you can use when you feel everything falling apart? How to meditate to relieve stress? When stress wreaks havoc in your life, meditation is an amazing way to escape from that situation and solve problems you have. You only need to trust yourself and try meditation if you aren’t doing it already. Sometimes holiday time is very stressful, and I almost always feel tired, exhausted after Christmas with my family. Of course, it’s a great time when everyone is coming together and celebrates life, but it can be tensed and not as easy as it should be. In fact, this is little sad, because we are together with people who we love. Right? So how make everything better for ourselves? 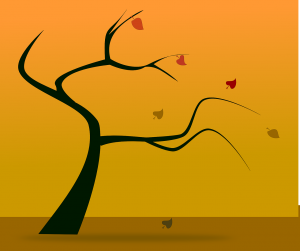 How can you enjoy holidays, make your life less stressful and invite more love into your life? We all want that even if we deny. 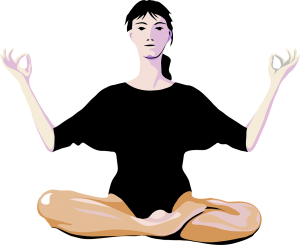 Meditation and other spiritual practices can help you to balance your life and find more peace. It doesn’t matter if you have holidays or workday, you can feel energetic and joyful either way. Meditation Tips For Stress Relief. How to Meditate to Relieve stress? Find a quiet place where you can meditate without distractions and interruptions. When you will become more experienced in meditation, outside distractions don’t bother you as much as today. Turn off all your electronic devices like tablets, cell phones, television. These things can draw your attention away from meditation. Sometimes you only need to close the door. Comfortable position. You don’t even need to use traditional cross-legged position. You can lay down, sit or walk and be in any position that is comfortable for you and not distract you from your meditation. Breathe deeply. It helps your mind and body relax and enter a meditative state. 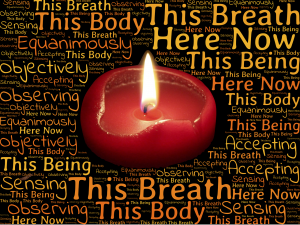 Many people practice effective meditation only by focusing on breathing. An important component of effective meditation is to focus on something or nothing. If you can free your mind of any distractions that cause you stress, you will feel free and get a break. You can focus on image, mantra or on a blank screen. Try prayer. It is a type of meditation that is practiced everywhere in many regions and religions. You can pray to the universe, god or yourself. Remember that there isn’t the right way to meditate. Once upon a time, I thought that the way I am meditating is wrong and I am not doing it right. Now I know how silly it was. Every person has their way to meditate, and it is the right way for them. There are many meditation techniques that you can try, and in this way, you find one that works for you. Meditation can become a pleasant experience for you. It’s essential to enjoy meditation because if you don’t like what you are doing, it will be boring and not effective in reducing stress and getting other benefits. You even can meditate while doing mundane tasks like washing dishes. One of the best ways to meditate is engaging in creative activities like drawing and painting. Writing a journal and reading is another way to reach a meditative state that helps with stress relief and relaxation. I love to use guided meditations, and they are helpful for beginners because they can help you to relax and meditate. The binaural beats synchronize brain waves, so it’s easier to enter deep meditative state very quickly. 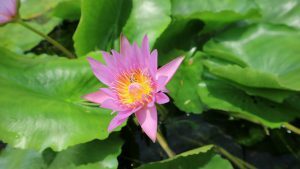 What is concentration meditation? This is the type of meditation when you focus your attention on an image, sound, positive mantra or object. For example, you can think of a peaceful place or calming phrase. This kind of focus helps you block out distracting thoughts. 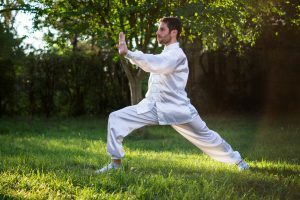 Tai Chi and Yoga are great stress relief meditative practices that use breathing and movement to promote well-being. These practices become more popular every day. I love to go for a walk and meditate at the same time. I feel the connection to everything around me: nature, people, sky and myself. It is very refreshing, relaxing and I always forget about my worries. This type of meditation focuses your attention on the present moment, and you become aware of things that are happening right now, such as breathing. When you meditate, you can observe the thoughts that you have but don’t judge them or try to stop them. Don’t change anything, just be in the moment. Your emotions and thoughts will pass either way. Mindfulness meditation can help you to stop worrying about your life, about everything that usually bothers you. You need to focus on your body and breathing. I think that one of my favorite type of meditation is loving-kindness meditation. But in fact, I didn’t know before writing this article that this kind of meditation is called like that. Usually, I focus on the feeling of love, and later I extend that feeling out to everyone else in the world and beyond. It is a powerful meditation, and I always feel amazing after this kind of practice. I know that my worries and stress are just illusion and will pass away eventually. Be in a quiet, relaxing atmosphere. Importantly, is to be in a place where you feel comfortable, and there are no future distractions. You need to be in the present moment if you want to meditate. Find a comfortable position. The decision is up to you, you can lay down, sit or stand up. Close your eyes. Take a deep breath, and in this way, you can relax. While you breathe, imagine all your worries and stress leaving your body. Clear your mind or at least try to do it. I know it’s not easy. Let all your worries go and stop stressing about commitments and responsibilities. Think about your breathing and relax. Being in the present moment is beneficial. Imagine yourself in a place where you are happy. Relax your body. When you are feeling stressed, your body is tensed so meditation can help you with that. Imagine your body slowing down – your blood flow and heartbeat, feet should feel heavy. Continue breathing deeply, and I am sure you will see the benefits. 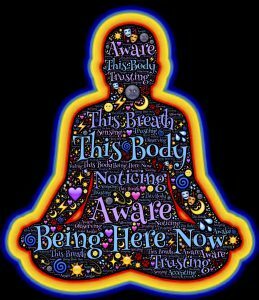 You can scan your body to find areas that feel tense, and you can imagine a white light surrounding you with each deep breath you take. Meditate as long as you want until you feel refreshed and relaxed. Only 5 minutes of meditating can be beneficial. I think that many of you know that meditation can help you relieve stress and it has health benefits including reduced anxiety, blood pressure, and depression. Many of us ask how to meditate to relieve stress, and I hope that you found the answer here. If you have any comments or questions, my dear reader, I would love to hear them. I know that we all experience stress in our lives, but meditation is a great way to heal ourselves from stress, worries and other problems that we may have. If you are interested in learning more about meditation, CLICK HERE Now. If you want to find ways to reduce stress and be happier, please subscribe to this blog, and you will receive notifications of my upcoming articles. Happy New Year! May your life be wondrous and free of stress! Cool site. I looks your tips on mindful meditation. I am positive so many will find this site a great resource for living in the now in peace and tranquility. Love the tips! Hi, David! Thanks! It means a lot. I hope that people will find this article and my site useful. Thank you for these great meditation tips. I practice meditation daily, but still find guided meditation the easiest one to focus. I noticed that if I skipped meditation for few days, I was not as calm as I was when I meditated, and it was not easy to calm the mind when I came back to meditation. I have not tried to meditate with binaural beats yet, and it seems like a good idea, so I will give it a try, thanks. Great post! Thank you for this great article. I’ve practiced for years and certainly helps me to stay-in-the-moment! I am glad to hear it. It would be great if more people practice meditation. Hi Linda! 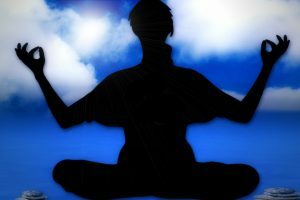 I think the information you’ve shared is wonderful, there are a lot of helpful tips here that I think would be great for those starting to get into meditation. It’s also structured really well, so it’s easy for us to follow along! It also looks like we have similar interests, such as crystals! I saw that in your recent posts, so I might go and have a read. Thank you for sharing this, I think it could help a lot of people! I wish you good luck and success for the future. Hi, Joann! Thank you! It means a lot to me. Yes, I love crystals. I have a lot of interests, and sometimes I don’t have time for all of them. I would like to read your opinion about that article. Thank you! 🙂 Thanks for your comment! Best wishes! Hi, Carmen! Thank you for your comment!